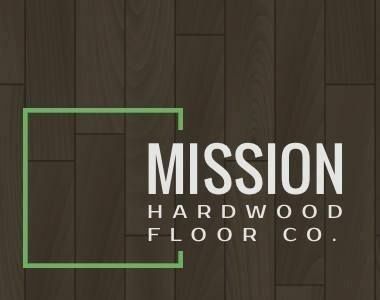 Mission Hardwood Floor Company - Mission Hardwood Floor Co. has installed over 20,000 hardwood floors in the greater Phoenix area since it was established in 1972. Like the Masters’ enduring classics, each Mission Hardwood Floor is an original work of art, touched by inspiration and nature’s own unique imprint. For half a century and four generations, Mission Hardwood Floor Co. craftsmen have been, and still are, creating each floor with fine woods, unique inlays and borders, finished in classic designs or individualized to reflect their owner’s very own taste. Using new or reclaimed pieces from over 300 species of wood, our craftsmen finish each floor to exacting standards, creating a unique piece of art that will never be duplicated. Our craftsmen also sand, repair, restore, and refinish Hardwood floors with the same high standard. Rare and exotic woods can be matched, inlays can be replicated and existing floors can be recovered to maintain their unique look for years and years to come. Mission Hardwood Floor Co. is your source for the most beautiful new, reclaimed, or engineered Hardwood floors in the industry. For over 45 years, our company has striven to provide timeless quality and exceptional service that exceeds your highest expectations. Be sure to contact us, or visit us in our Scottsdale showroom today to see how we can make your vision a reality! As a full service HVAC company, GZ Air Conditioning of Tempe, AZ is proud to offer a complete range of installation, repair, and maintenance offerings to Tempe and Phoenix area customers.